Verity Perry is a fully qualified BHS Intermediate Instructor, UKCC Level 3 coach, Spillers Level 1 feed nutritionist with a Higher National Diploma at distinction level in Equine Studies. Starting out in British Eventing and British Show Jumping, Verity was given the dressage bug after discovering dressage to music back in 2003. After breeding her own Inter 1 horse, Armani, back in 2002, Verity switched disciplines after the little mare showed such talent for the sport, winning at every level and attending the British Dressage National Championships at every level from Elementary to Prix St Georges. Verity has trained several horses above BD Medium level, including the stallion, Sandro Sun, who she trained from backing. 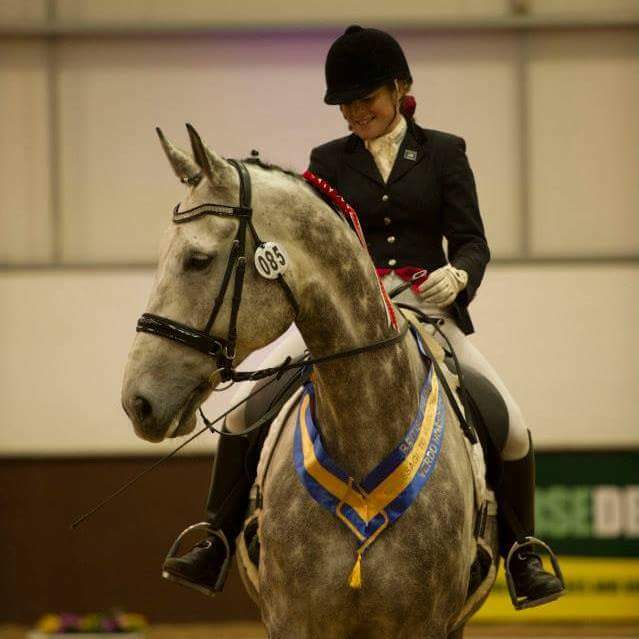 Verity holds 4 National dressage titles – with BD and BRC. Three were with Armani and one with the 18.1hh Hanoverian Rubinho. Verity has represented England twice, after being selected to compete in the BD Home International on two separate occasions. Verity’s passion for dressage to music has lead her down the road of Quadrille – not as a competitor, but as Coach to the Cornwall Trec Quadrille Team. 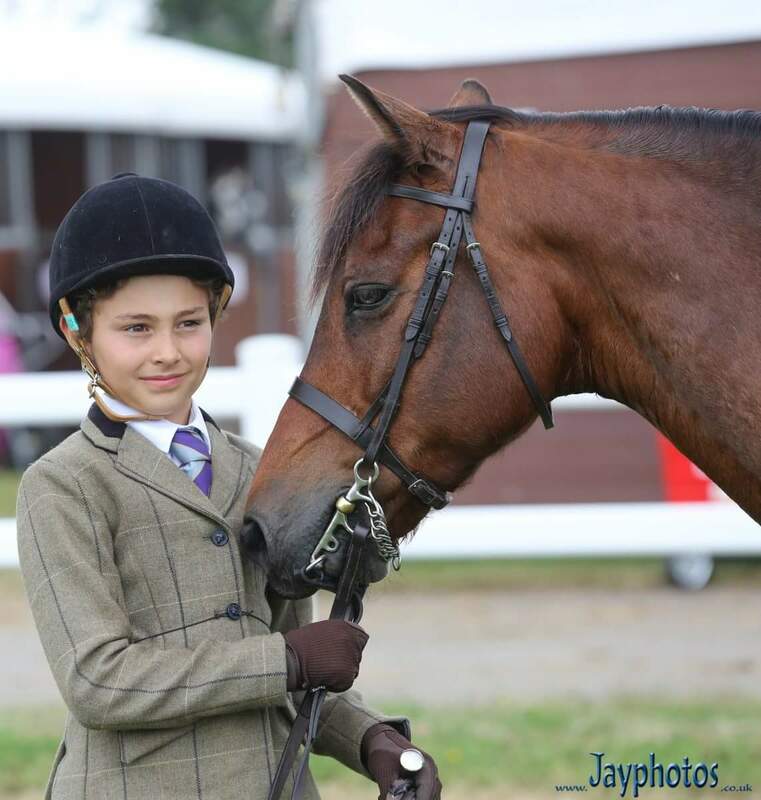 Formed for the club by Verity and good friend Jane Fisher, Verity donates her time and the use of the indoor arena at Rosevidney free of charge – so that the riders who would never have the chance to compete in such a sport can achieve more than they ever dreamed. The Quadrille Team started in 2012, with five out of six attempts qualifying them for the finals, riding at London’s International Horse Show Olympia and the Bury Farm Championships. In 2018 Rosevidney’s riding school cob Lightning was part of the winning team. Verity is a sympathetic trainer, with a good eye and a patient nature. She is proud to say that she has managed to aid nervous riders, who would cry rather than enter their horses stable and have progressed to riding freely, and even take part in BD and BRC Team competitions. Others, who never thought it possible, have gone on to compete in BE. Verity has a natural humble nature and believes that every horse has a value – and with good training and patience, even the most average horse can achieve great things, even with conformational issues or difficult personalities. Consistency, alongside quality training from an experienced coach can work wonders. Verity is available for training on site at Rosevidney, as well as at other venues. Lessons are available on Rosevidney’s own riding school horses for £30 per half hour private. Lessons on your own horse are £25 for a 45-minute slot. There is a large lorry park for easy turning and clients are welcome to use the hot shower room after their lesson to make the journey home more comfortable. 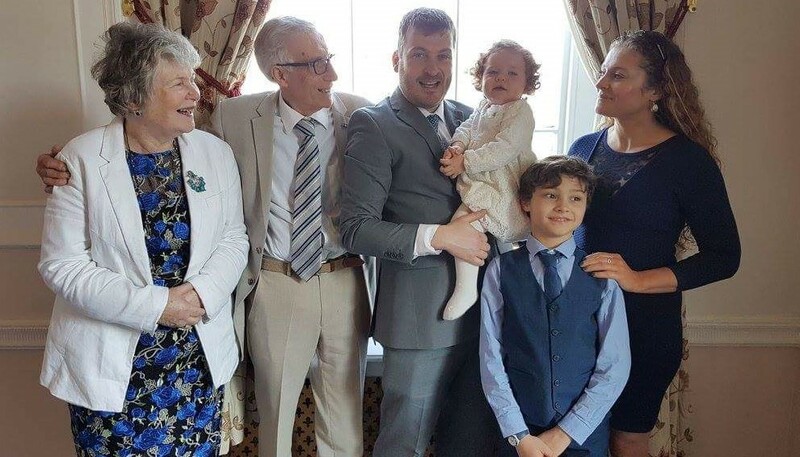 Phil Stocker grew up in rural Cornwall, always having a love of some locally kept heavy horses, but not becoming a “rider” as such until moving back to Cornwall in 2015. 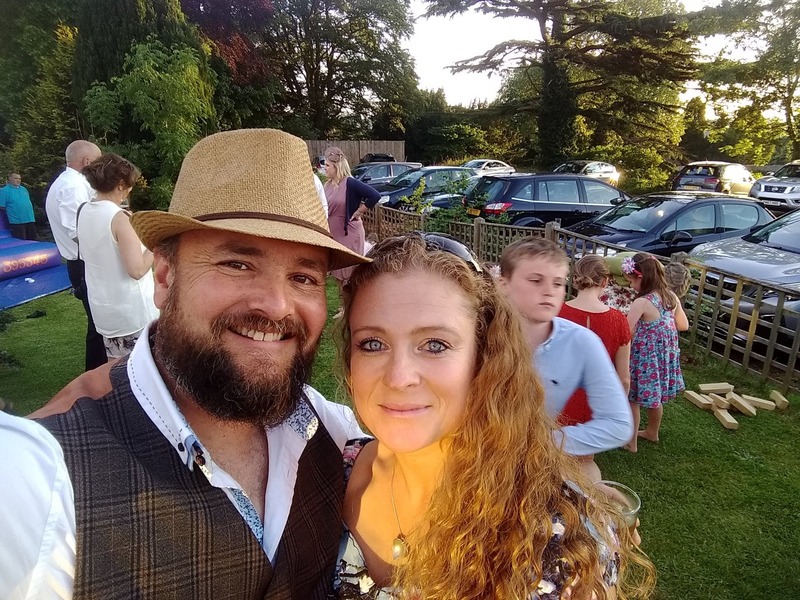 Having been an outdoor activities instructor for many years in Scotland and Cornwall, before moving to Kent and becoming a Police Office, Phil now owns and runs Rosevidney Glamping – a picturesque glamping site situated at Rosevidney. Phil is a competent rider, enjoying jumping and hacking around the local countryside. Phil can also be seen carrying out handy man duties alongside Verity’s father, Nigel. Janet has been married to Nigel for over 40 years. She is a retired nurse. So is great to have on hand in all sorts of emergencies. Austyn is Verity’s son and has been riding since birth. He has competed many times at county level showing, including Working Hunter since the age of 9. Austyn is a brave and competent jockey and ponies are invited by prior arrangement for Austyn to school alongside Verity. He has help many ponies make the transition between lead rein and first ridden ponies. Austyn enjoys jumping, but also compete British Dressage and Pony Club in all disciplines. He has represented Cornwall in the British Dressage Inter County Challenge teams, and has represented Cornwall Trec for dressage at the British Riding Club National Championships. In 2018 Austyn has qualified for the BRC Nationals at Lincoln in dressage and show jumping, as well as qualifying for the BRC National Dressage to Music Championships at Bury Farm. He has also qualified for the Pony Club 2nd Round show jumping at Bicton. 2018 also saw Austyn represent Cornwall for the 2nd year running on the British Dressage Inter County Challenge teams, but this time on a 4-year-old pony. 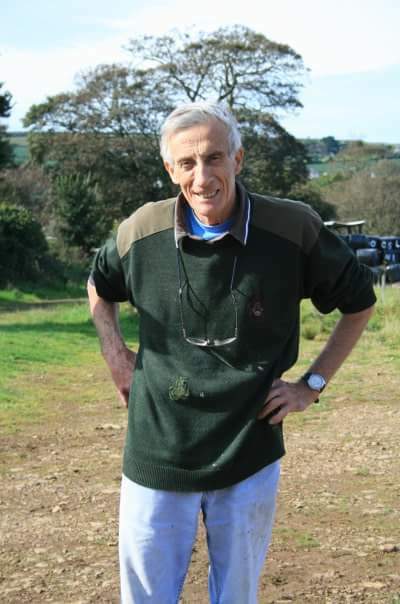 Nigel has lived at Rosevidney all his life and grew up on the family farm. At the time is was predominantly dairy, arable and flowers. Nigel grew up with heavy horses working the fields and remembers all the old horsemen who worked at Rosevidney. Our shires apparently wouldn’t start work each day without a slice of bread from Nigel’s mother at the back door of the farmhouse. Nigel had to retire from farming in 1988 due to ill health, and in 1990 turned the farm over to horses. Little did he know that Verity would take such a keen interest, or that the yard would slowly grow into the strong business it is today. Nigel is Chief Tractor Driver and still maintains the land. He is also on hand to aid maintenance as needed. Imogen is Phil’s daughter. Based during term time in Kent, Imogen has been riding since she was 4 years old, taught by Verity at Rosevidney in one-to-one lessons. Imogen is a keen Pony Club rider and is excited to attend Pony Club Camp for the first time in 2018. Imogen has competed at local level showing with great success. 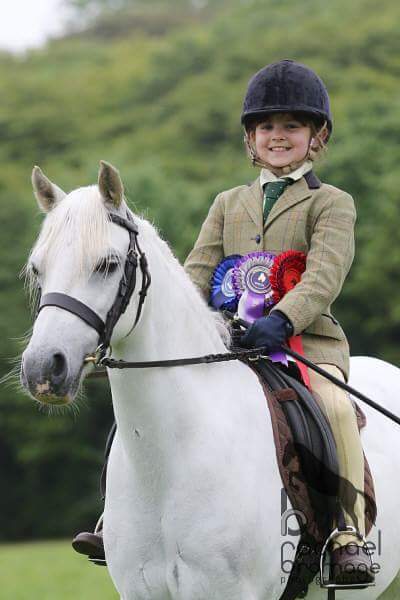 Imogen’s competition career is only limited by the time she spends in Cornwall, but being the most organised child in the household, Imogen is always planning her next show or dressage event.